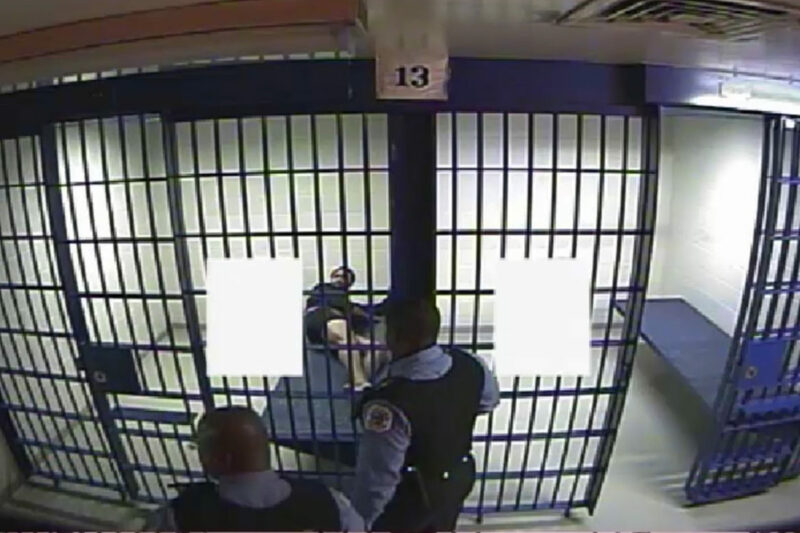 A video released by the Chicago Police Department on Dec. 7 shows officers using a Taser on Philip Coleman and dragging him out of his jail cell in December 2012. Last month, video of the shooting of Laquan McDonald led many to wonder whether he might be alive today if a Taser had been available to police on the scene. But last week, video of the 2012 tasing of Philip Coleman in a holding cell raised questions about the use of Tasers by police. Coleman’s parents called police after he attacked his mother on Dec. 12, 2012. They told police their son was having a mental breakdown and asked that he be sent to a hospital. He died the next day, shortly after being repeatedly tased by police at the Calumet District lockup and later at Roseland Hospital. The Cook County Medical Examiner ruled the death was caused by neuroleptic malignant syndrome (NMS), a reaction to the anti-psychotic drug Haldol administered to Coleman at the hospital. Coleman’s family is challenging that determination in a lawsuit that charges police with using excessive force and failing to provide access to mental health care. On Monday, the federal judge hearing the lawsuit ruled that a Chicago police employee used “brute force” in dragging Coleman out of his cell. The family’s attorney, Ed Fox, says studies show that agitation and distress are contributing factors to NMS. “Tasing [Coleman] contributed greatly to his death,” he said. That fits the pattern: nearly all deaths following tasing incidents are attributed to other causes. A national survey by the Guardian of 47 deaths which following police tasings so far this year found only one in which the Taser was listed as the primary cause of death. Coleman fits the tragic pattern of Taser deaths in other ways, too. He was African- American, like a disproportionate number of victims. He was unarmed, like a large majority of Taser victims; he was handcuffed, like many. And he was experiencing a psychiatric crisis. Mental health crisis is one factor that increases the risk of death following tasing, said Justin Mazzola of Amnesty International USA; the use of repeated shocks is another. 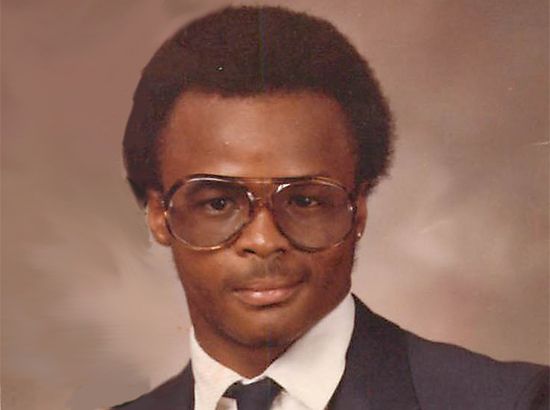 Coleman was subjected to as many as 16 separate Taser shocks by police in the final hours of his life, including 13 at Roseland Hospital. Taser International considers it safe to use a Taser “back to back” up to three times, according to a report from the Police Executive Research Forum. Last November the United Nations Committee Against Torture – which heard evidence about the death of Chicagoan Dominique Franklin following his tasing last year – called for restricting the use of Tasers to life-threatening situations. Mazzola says most Taser use – inappropriately, in his view – is to gain compliance from individuals who aren’t following orders. Too often “noncompliance” merely means they are struggling against their restraints, he added. “Especially in custodial situations, it has the potential to be used in cruel, inhumane, and degrading ways,” he said, adding that depending on the number and duration of shocks, tasing can rise to the level of torture. 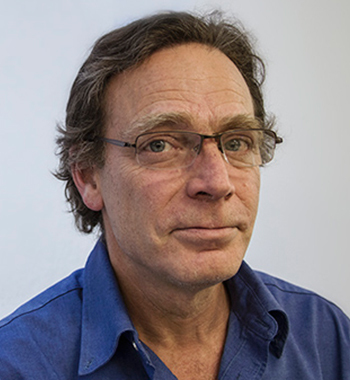 “In cases where there’s a mental health issue, a person may not be able to understand what’s going on,” he said. Without audio it’s hard to tell what’s going on in Coleman’s holding-cell tasing. But the tasing takes place within a few seconds of six officers entering the cell, and there is no sign of physical resistance from Coleman. There’s nothing that resembles “active resistance.” Police reports and press statements described Coleman as “combative” at this point; but the video does not support that characterization. Fox said he reviewed video for the entire time Coleman was at the lockup, and at no point was he violent or threatening. Coleman’s father has postulated that the officers were retaliating because when his son was spitting up blood during his arrest, some of it got on their uniforms. Their “preemptive force,” as one expert described it, could also reflect a general dehumanization and fear of people living with mental illness. We need to tighten up restrictions on their use. And when our police kill someone using a Taser, we should admit it. The Chicago Police Department will soon have more Tasers, which are billed as an alternative to lethal force. But human rights groups and experts say the weapons can be deadly and that CPD’s Taser guidelines are inadequate. Controversial moves on ethics, finances, police and schools call into question the Chicago mayor’s pledge to “end business as usual” at City Hall. Illinois Gov. Pat Quinn still has enough time in office to grant the clemency petition filed on behalf of Anthony Dansberry, convicted of murder and suffering a gross injustice in a justice system that did not work in his case. At least 61 people have died following police tasings so far this year. At least 1,146 people have been killed by U.S. police since January 1, 2015. At least 1,108 were killed in 2014. At least 3,023 have been killed since May 1, 2013.